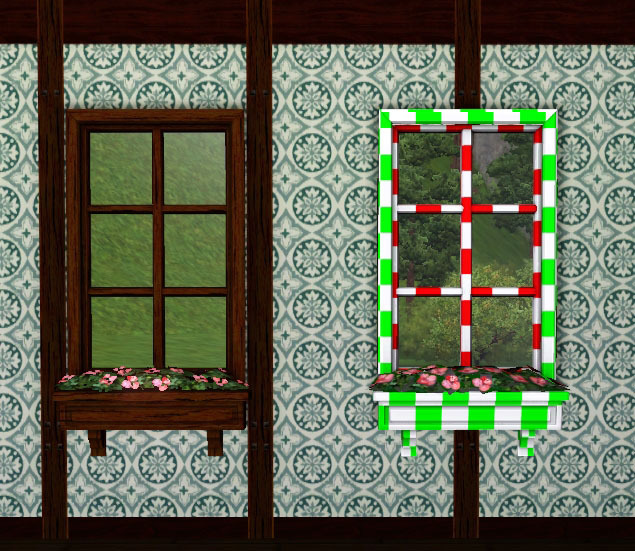 As some of you may know, I have been very sick these past few years and was even sicker this last year, which didn't leave much room for sims projects. Hence, this project (which has been near completion forever) wasn't finished and I haven't spent much time around the site. 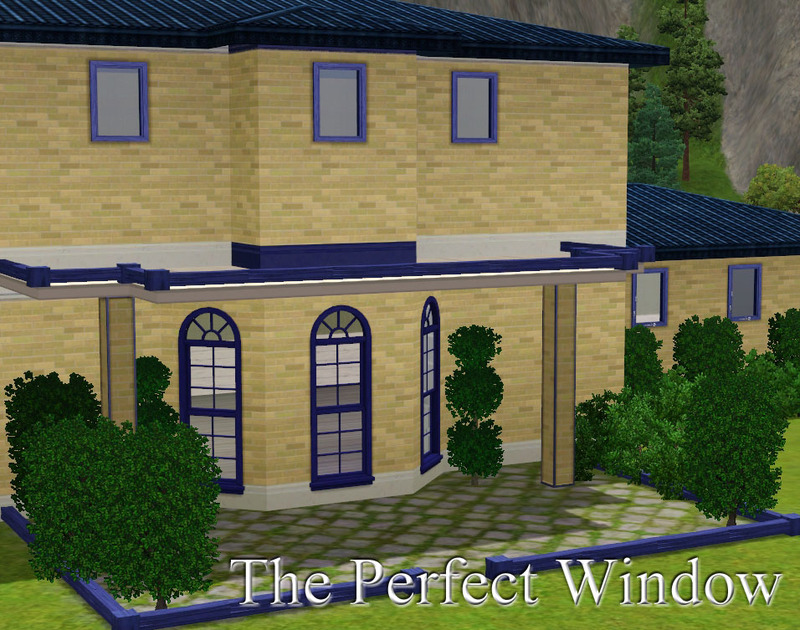 But not that I'm feeling a little better, more projects are on the way, starting with this one! At last! 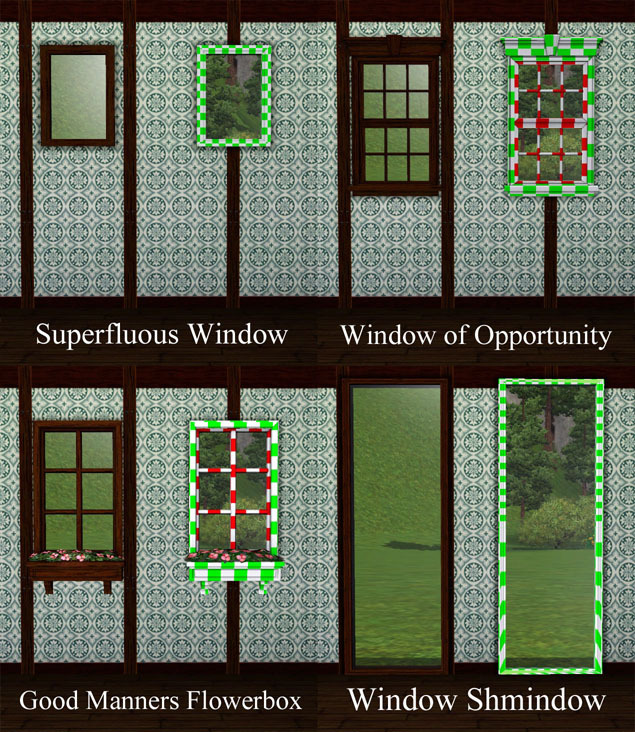 These include almost all the one-tile base game windows made into two-tile windows, which you will remember from Leefish's sims2 area. 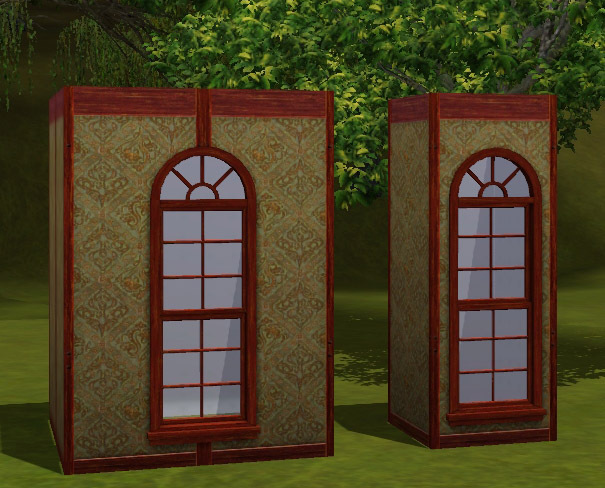 Now, if you want one window centered above your two-tile door, you can! The pictures tell what each one's name is, and the final zip has all of them in it. The others are packaged individually for ease of download. 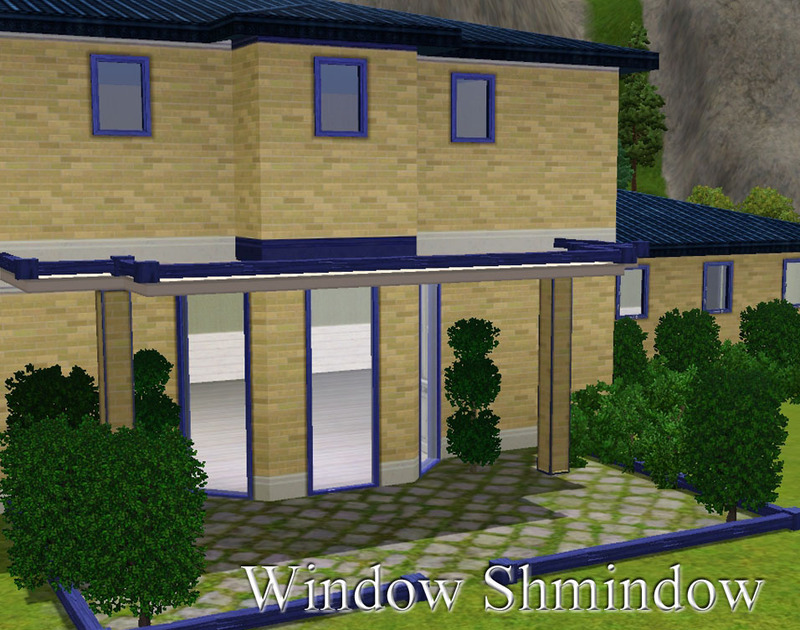 Sims3packs of these will be available on Lee's site soon. These do not replace the originals. Please be sure to thank the lovely fish if you download it. 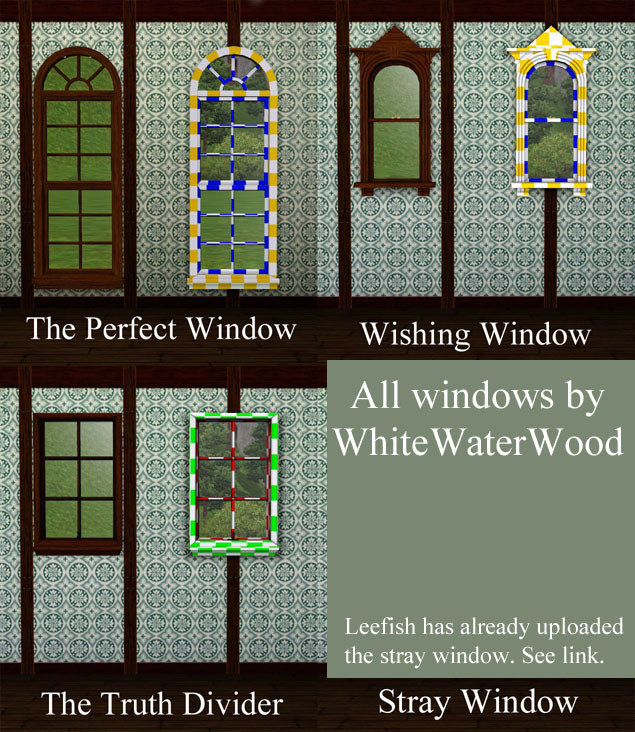 Or if you download these, because these windows would not exist without her help.